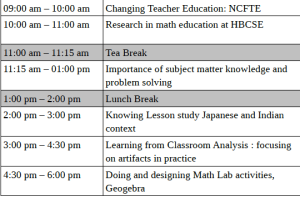 Collaborations with SCERTs and DIETs have been part of the Mathematics Education group’s activities. 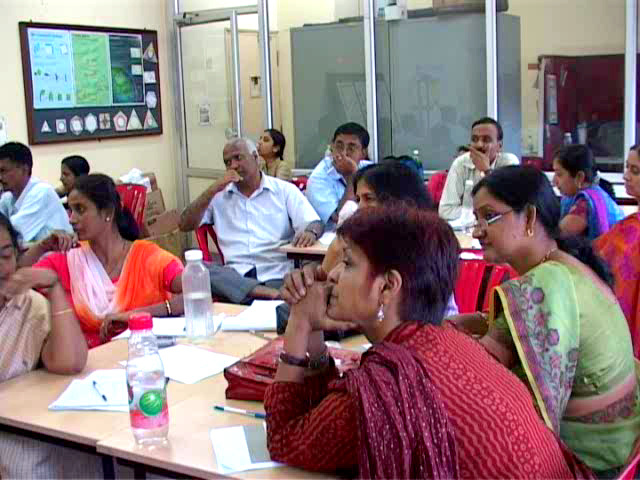 SCERT and DIET are the government institutions designed to work with teachers at state and district levels respectively. 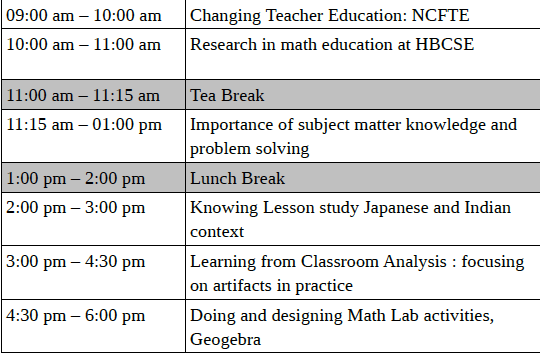 Faculties from these government bodies make visits to the mathematics laboratory located at the centre as well as take part in the discussions where they expect exposure to contemporary research in mathematics education. 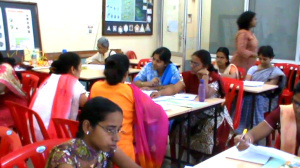 We have been conducting sessions such as planning a lesson study, reading and presenting research together, making use of records of practice in teacher education, understanding our national policies critically with the groups of teacher educators from various states. 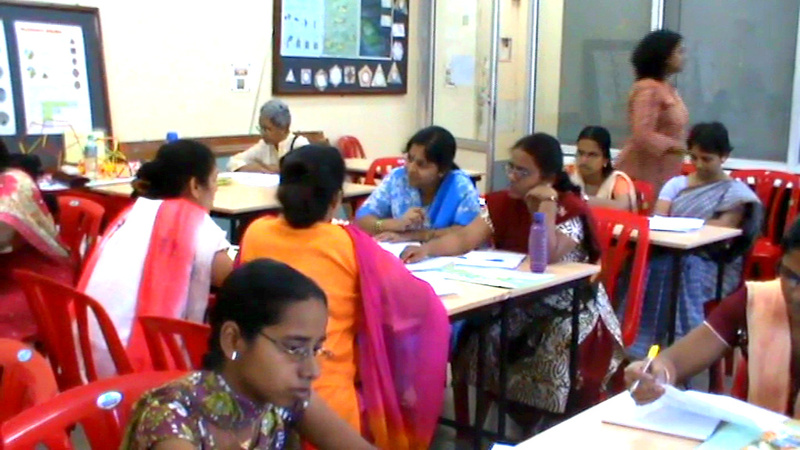 We are working towards promoting collaborations with teacher education institutes that could sustain for longer periods, so that we can measure the impact and utility of the research exposure.